“I’ve always been concerned about how to create a better world, how to help women in the arts, and how to find ways to help people live peacefully,” says Anna Bonshek, an internationally known digital media artist and writer whose career has taken her to the far corners of the world. Anna’s art installations have been exhibited in Australia, England, Hong Kong and the U.S. Her articles on art and creativity have appeared in magazines and journals that include Artlink; New Art Examiner; Body, Space and Technology; Artists’ Newsletter; and Consciousness, Literature and the Arts. She holds a degree in painting from the prestigious University College London and has curated art exhibitions at Des Moines Art Center and the Institute for the Creative Arts at University of Northern Iowa. A woman of many interests and an inveterate traveler, Anna is director of Prana World Group, a company that consulting services on art, publishing, design and Vedic architecture. 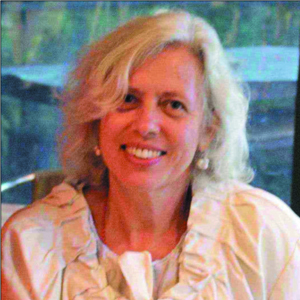 In 1992, Anna worked with her husband Lee Fergusson, a higher education professional and environmentalist, to found a university in Cambodia. Working closely with the Cambodian government, they started Maharishi Vedic University which opened to more than 5,000 student applicants (for 550 available seats) who enrolled in programs that ranged from business to architecture. 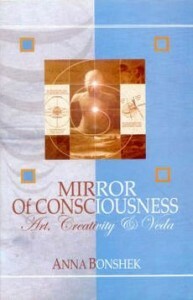 Anna also contributed to Consciousness-Based Education and Art, which was released in 2011. Anna credits her education at MUM as critical to her artistic process and successes. Born in England, Anna lives with her husband, Lee Fergusson, on Australia’s Gold Coast.